In order to understand how China shipping container tracking works, first you must grab a few basic concepts. You need to enter the numeric part of your APL bill of landing. That will be a number of 7 or 9 digits. By adding a homeport ID you may get more details about the shipment. For China shipping container tracking in other ports, you can find the codes here. You can track your chinese shipping container cargo by tracking the vessel it is on. You'll need the boat name (or at least part of it) and also the homeport ID. You'll get schedule for the next 10 stops as well as details about the vessel: age, size, country, owner etc. China shipping container tracking by container requires the respective container number. A standard container number is made of a 4 letters code designating the company that owns the container (not always the one that transport it), a 6 digits number (the serial) and 1 digit (checkdigit, used to avoid mistypes). For example, UDVB 102030 9. If you enter also the homeport ID, you'll usually get more details. China shipping container tracking gets a little trickier if the container owner is a leasing company since they usually don't do the shipping themselves. 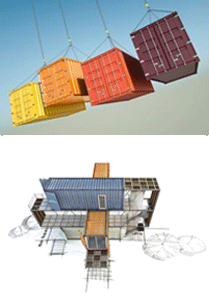 In this case you should first check the leasing company website and find the transport company for the shipping container in case. 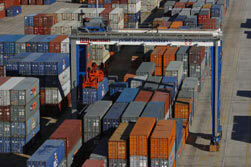 Once you had found it, you should search for your container using the transporter's name.